Latest post Tue, Jan 17 2012 12:04 PM by newsense. 16 replies. All of my editing in Avid is in the YCbCr 709 color space. This is an 8-bit color space (values from 0-255), where black is defined as 16 and white is defined as 235. Anything below 16 is super black and anything above 235 is super white. My normal HP computer displays use the standard sRGB color space. They define 8-bit black as 0 and white as 255. This image is made from screenshots from Avid and Quicktime (which represents the native color space of my monitor). You'll notice the lower contrast on the Avid displayed images that I mentioned above. It's subtle, but is most noticeable in the differences in the brightness of Woody's vest, the highlights on Woody's belt, and in the details in the shadows behind the dresser. I like that Avid encodes my video in a way that doesn't permanently crush my footage. I don't like that Avid displays my footage inaccurately for my displays. Is there a setting that I can change in Media Composer 6 to resolve this problem? Alternatively, is there an easy way to change the color profiles of my displays in Mac OS X Lion (10.7.2) to better match how Avid displays images? -I have searched the forums. -I have looked through Avid's settings and haven't found anything on my own. -I have tried to manually adjust brightness and contrast of my displays while looking at the pluge portion of standard color bars in Avid, but since they are computer displays rather than broadcast monitors, this was unsuccessful. -I have calibrated my displays using a Spyder3Elite colorimeter, but this accurately calibrates the displays to their own color space, not to the color space of Avid. I have looked for alternative Spyder3Elite settings that would better match Avid's color space, but to no avail. Firstly, I personally don't trust using any video player when it comes to displaying video. VLC displays differently, QT displays differently, WMP displays differently, they all have unknown ways of displaying the image whether the program decides to stretch the regions or not. Secondly, we are assuming that you are fully aware of how footage looks, vs what it actually is, and it looks like you are aware of how avid treats/displays color spaces. I like that Avid encodes my video in a way that doesn't permanently crush my footage. I don't like that Avid displays my footage inaccurately for my displays. Is there a setting that I can change in Media Composer 6 to resolve this problem? To quickly answer this, sorta. You can tell avid how to display your media on the monitor when in FULL SCREEN PLAYBACK. Because you do all your color correcting by the 709 "16-235", your blacks aren't a true black, you are staying in safe level territory. To see your images, like the way they would look on the web "0-255", you can simulate that when you view in full screen by doing this: Settings>Full Screen Playback>select the box "expand luminence for computer displays". Ctrl+Shift+F or Cmd+Shift+F, you will now see your 709 optimised images as if it were stretched to web color space. Meaning your "16" is now "0", and your 235 is now 255. IF you're outputting to DVD, you need to keep all rendering to 709/601. Final Cut Pro on the otherhand, I can never figure out if my encoded videos have been encoded properly. I'm very used to PC, truley knowing what my footage looks like. All of my editing in Avid is in the YCbCr 709 color space. May I ask what your intended viewing environment is? Is it broadcast TV? Is it projection in a theater? Is is web based delivery to be viewed on a computer screen? All these methods have different display technology. Once you settle on that then you can figure out how to monitor correctly. This is the most important question. Your post does not seem to state this. Once we know that, then maybe we can offer suggestions. I'm outputting at various times to web, DVD, and Blu-Ray. My decision to work in the YCbCr color space is determined more by codecs than by output, since Avid 6 will only let me import to DNxHD 36, 115, and 220 while set to YCbCr. When set to RGB it only gives me 10 bit uncompressed RGB, ProRes 4444, and DNxHD 444. All of these are much bulkier than what I need. This seems like exactly what I want. However, this option does not seem to be working for me in MC 6, and I have heard from another editor who is having the same problem. The image looks exactly the same with this option toggled on or off. So we might have a bug to report there. But why can't we have this as an option for the source/record monitors? Seems like it would be easy enough. I think I'll make my way over to the feature request forum. I guess this is where we differ. Wait, let me backup. I can definitely understand wanting to see the full 0-255 image (like Avid does). It certainly makes sense to have this available as an option. Ok, now back to where we differ. In my experience (mostly using OS X), Final Cut Pro 7, After Effect, Photoshop, Quicktime, etc. all consistently use the clipped 16-235 range, just as a broadcast monitor would. Certainly I can't be the only one to have noticed that the black filler that Avid uses doesn't look like the same black that is seen in Photoshop. For Avid not to have the option for finished-style image display seems short-sighted. In essence what we are talking about are the two most common LUTs. A full, raw 0-255 is the default LUT for Avid, while 16-235 is the default LUT for Quicktime, the web, Photoshop, After Effects, Final Cut Pro 7, and as I understand it, DVD and Blu-Ray. With a list like that, doesn't it make sense for Avid to support it? Unfortunately, you can't. The color controls of video overlay (the function that governs GPU accelerated playback in applications) is seperate from your desktop color profile. QT, FCP, Avid all have this issue. Second, QT has a notorious gamma issue (Google it), even FCP X seems to have this issue.This is the likely source of the discrepency you are seeing. If you care about colors these much, use scopes and proper broadcast monitor. My googling led me quickly to this page, which rather thuroughly addresses how Final Cut Pro and Quicktime sometimes do some weird gamma switching to RGB clips. Since we are talking about clips encoded in the YCbCr color space, this does not seem to be the issue. And I'm still interested in trying the "Expand Luminence for Computer Displays" setting because I am very confident that what Avid calls black (as with it's filler) is not the same black that is used by my computer monitor. 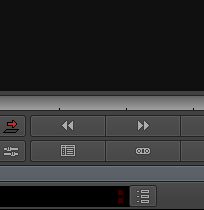 Quicktime aside, the black of my audio meters below the source/record monitor is darker than the black of the filler in the source/record monitor. I want to see black as black, just as on a calibrated monitor (I just don't think I should have to buy one). If nothing else, I guess I can apply color correction to a track of filler above my work and set the black point on the master curve to (16,0) and the white point to (235,256). It gives me the look I want in Avid, I just have to remember to turn it off for export. Here is a link to a screenshot showing the difference between the black filler used by Avid (16, seen towards the top) and the black used by the operating system and Avid's audio meters (0, seen towards the bottom). Feel free to take this into Photoshop and eyedropper the two versions of black if you have a hard time seeing the difference. The problem is not limited to RGB. QT does not handle YCrCb correctly or at least consistently. And YCrCb is nothing more but a derivative of RGB. You should really use the scopes to judge proper levels. I am unsure why you are using a RGB (monitor, GPU, color profile, etc) environment to critically judge a YCrCb video. Second, overlay only kicks in during real time playback. The moment you stop the video and or do a screen grab it is the desktop RGB color profile that governs it. I am not saying there is nothing wrong. Obviously there is a difference. Using the scopes (software or hardware) will give an idea which one is off. And I am unsure why you would use expand luminance since this function is not standard practice in the computer video world. This is not like NTSC setup. BTW - Full Screen Playback in Avid does have that function but again, not sure if this is the way to go to critically evaluate color levels. I have exactly the same problem and it drives me mad. Why is MC designed this way? It's wrong. It's called 'Media Composser' not 'Broadcast Media Composer'. I just want to start and finish my editing in Avid, on my laptop, without crushing or stretching any data from 5d's CMOS sensor. And now my Anamorphic Mask is not black, but gray, and brighter then the deepest shadows of my footage. In scopes my footage looks fine, but the mask doesn't. It's not acceptable. I hear many experienced Avid users justifying such behaviour as 'traditional' or 'historical', but honestly it's 2012 and televison is only a fraction of all media channels. The green line is your mask. Why is MC designed this way? Because it adheres to video standards. And I for one am glad. I understand the need for others to be able to work in other color spaces, though. It's just a step further than just changing the levels of the masks, it's about anything inside MC needing to be able to work inside a given color space. It seems like some of your original questions have been lost. Let's refresh back to your original set of questions. "FILLER in avid is... what?" The filler black in avid is at 16 which is black for broadcast. I believe this is very silly of Avid. 3rd party AVX apps within Avid. Programs like BorisRED/AvidFX, stay within this 16-235 range. You can stretch contrast all you want within those integrated compositing programs, but once you apply and bring to the avid timeline they will be safe withing the 16-235 range. BCC effects give you the option under general, to select or deselect if you want those effects to be 'broadcast levels' or not, aka staying within 16-235, or the whole 0-255. "auto contrast" within the CC tool in avid, will auto determind the contrast and will never stretch it past the 16-235 levels. My personal suggestions is this: When working with anything, stay within the 16-235 spectrum, always. Because when you turn around and do end up encoding for web, the web formats actually automatically stretch the 16-235 to the full 0-255 range, for pure black and pure white. "We differ between seeing things between mac avid and FCP, vs PC avid"
Have all of your questions and concerns been discussed? Agreed, but I'm partly to blame . It's become a battle between those who like seeing 0-255 and those who want to see 16-235. I am satisfied that Media Composer won't show me the 16-235 that I want to see in the source/record monitors. And I'm frustrated that that's the case. When one shoots on an advanced format camera that uses a LUT, one does not typically edit the raw, full range, low contrast footage, but first applies the LUT so that the relevant visible portion of the data is shown and everything else is clipped. Color correction can, however, utilize the information contained in the invisible portions of the data. This is how editing applications that clip to 16-235 work. For many it's a sensible and desirable way to work. If you would like to see the full range un-LUT'd 0-255 image, be my guest. I would like the super-blacks and the super-whites crushed as they will be on output. We can agree to disagree, but I think it's a silly software limitation to only use one or the other.